Have you noticed the huge craze for mandala colouring pages? It has been hard to miss it! Download our easiest mandalas (perfect for kids) individually below, or scroll down to download them in packs of 8. 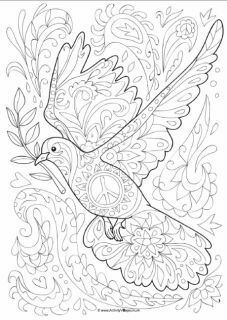 Here is the first of our mandala colouring pages, with a scalloped design. Enjoy! This mandala colouring page is almost reminiscent of a many-petalled flower. We've left the outline simple in case you want to cut it out when it is coloured in. This mandala colouring page features a fun, slightly off-circular design with a number of repeating layers to be coloured in. The centre of our fourth mandala colouring page has some quite intricate details to pick out. We love the scalloped border on this one. There are many layers of petals on this pretty mandala colouring page. What colours will you choose? Our seventh mandala colouring page is a little more detailed, so it is perhaps not for the youngest children to attempt! Choose your colours carefully and you will end up with a beautiful design. This mandala colouring page has a slightly Asian feel to it, and I can imagine some of the details picked out in greens and purples ... but of course it is up to you what colours you choose! Our mandala colouring pages 1 to 8 are included in this one pdf file for easy downloading. They are simple designs that can be tackled by children, and we've kept the outlines simple so that you can cut them out for display. Have fun!